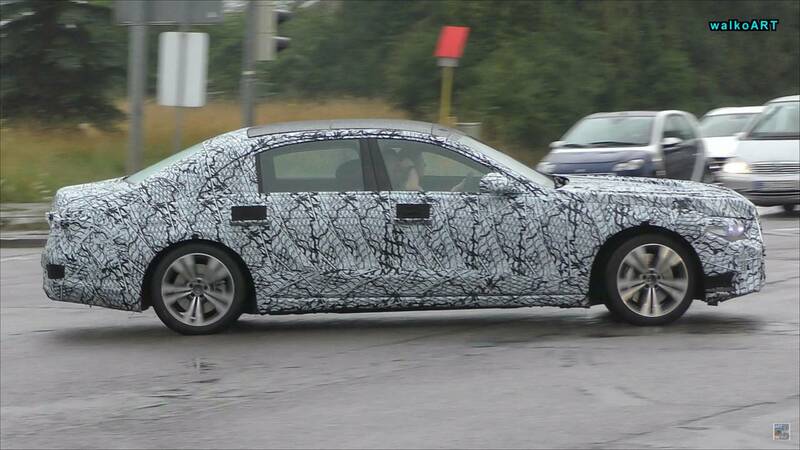 There’s an all-new new flagship sedan on the way from Stuttgart, and we expect it to be quite a machine when all the camouflage wrap and bits of clever cladding are removed. 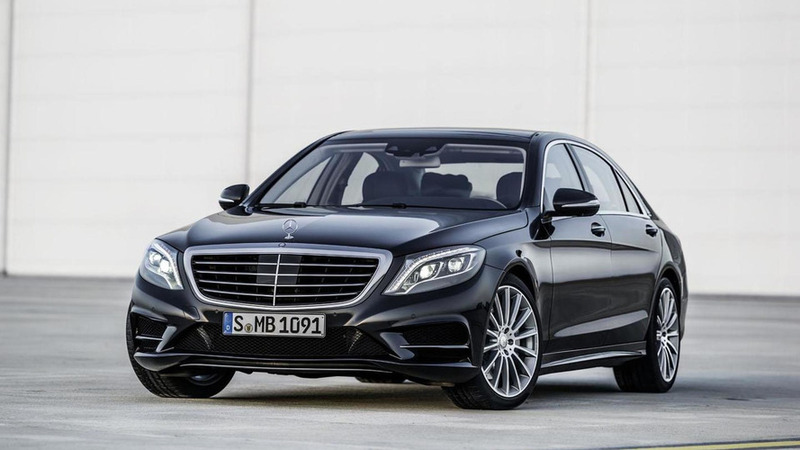 The Mercedes-Benz S-Class is a benchmark for premium luxury vehicles so when a fresh model is in the works, everyone from fans to crosstown competitors take notice. 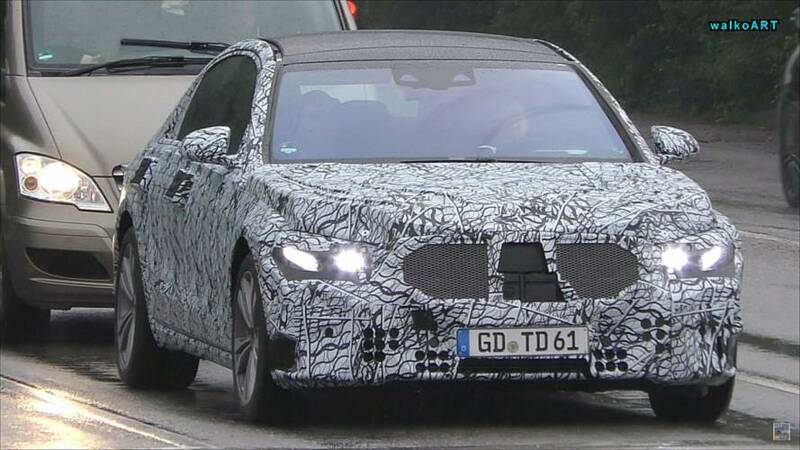 Just a couple days ago we caught a glimpse of the car’s interior – albeit heavily camouflaged – and now we get fresh look from the outside, captured in high-definition video. As with previous spy photos, the camo applique is still heavy so there aren’t many details to be sussed out at this point. This video does, however, give us a great perspective on the mysterious, bulky door handle coverings that suggest something interesting is coming for ingress and egress. Our sci-fi inner child so wants this to be palm scanner tech, but the truth is we have no idea what’s under there, or why the coverings are angled up at what appears to be a very specific angle. It’s also possible that Mercedes could be trolling us with fancy covers over normal door handles. It wouldn’t be the first time an automaker pulled off such a ruse. The video gives us a nice, clear look at the front where we see what could be sensors for new autonomous tech in the grille, and also possibly up high on the windshield. The S-Class is well-known as a flagship not just for Mercedes-Benz, but for advanced automotive technology so there’s every reason to believe the new sedan will offer some spiffy self-driving options. The rumor mill has been rather silent thus far on tech or powertrain options, but we do expect a tweaked cockpit with bigger screens, advanced touchpads, and plenty of features. 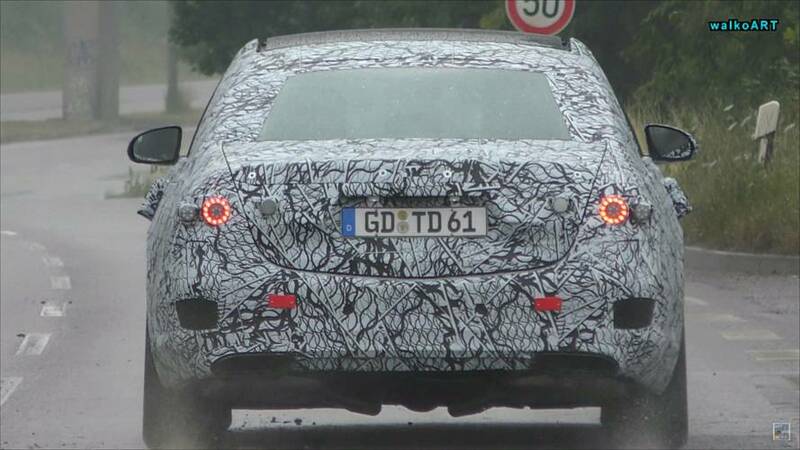 A hybrid model is virtually guaranteed, but there will be no all-electric S-Class – Mercedes is planning a separate EV that will be similar to the big sedan, but not part of the S-Class family. With the current W222 S-Class still enjoying its mid-cycle refresh from last year, we don’t expect to see the new W223 until 2020. Even then, it may not hit the streets until 2021. In the meantime, we’ll just have to be patient and let the information trickle out as it always does.